In another post there was discussion about the inlet tube and what the holes are for. Well I replied after taking my intake apart to check the Axial end float in the Supercharger because I don't think they bother to do this at the dealer, to hard or beyond ability, I don't know. Look at the photo, see the line on the housing where the vane tips run, that's caused by tip eddies polishing the housing. Imagine if dust got in there or the Supercharger was starving for air through a blocked filter. Somebody at the factory put a felt pen mark on one of the blades, see how it's been worn off at the leading edge. In this machine filtration of the incoming air is so important. Just like the ISS, hitting a fleck of paint, the tip speed is so high a speck of dirt is dangerous, choose your air filter wisely. 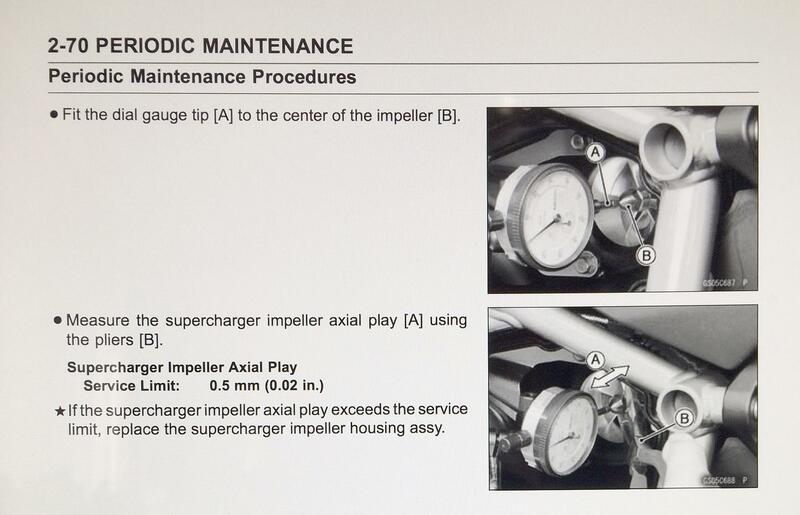 Also, check the Axial play in your Supercharger often. What was your axial play? How many miles are on your bike? What modifications , if any, have you done to your 2018 H2 Carbon? How long did it take you from start to finish, to check your axial play? What are acceptable axial play limits? What do you recommend if axial play exceeds recommended tolerance? What is involved to reduce axial play? At what limit does axial play become catastrophic? The spec, according to the SX shop manual, is 0.5mm. I don't have my bike yet (any day now), but my understanding from a lot of research is that if the axial play is greater than spec, you have to buy an entire supercharger. i did not measure it, but on hand mine look like having a greater than 0.5mm play... i will check again in the next air filter clean/reoil. Here's the page from the maintenance manual. 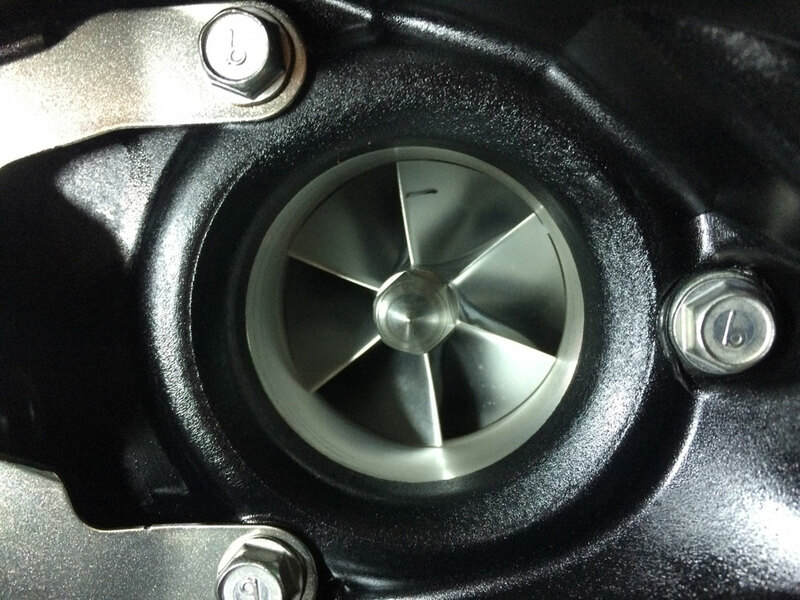 well,in all the posts here and elsewhere,I've not heard of one impeller going south yet.I check mine every airfilter cleaning.maybe 2k miles or so?.Still fine. Today 02:24 PM by h2madness! Today 02:22 PM by h2madness! Yesterday 03:26 PM by h2madness!